Quakerism is a way of life, rather than a dogma or creed. A Quaker meeting creates a space of gathered stillness. We come together where we can listen to the promptings of truth and love in our hearts, which we understand as arising from God. This experience cannot ultimately be described in words, but Quakers base their whole lives on it. The Quaker movement arose in the mid-seventeenth century. Its founders called themselves ‘Friends of Truth’, or simply ‘Friends’. ‘Quaker’ was an abusive nickname used by others, but Friends have since adopted the term themselves, and today ‘Friend’ and ‘Quaker’ mean the same and are used interchangeably. The formal title is ‘The Religious Society of Friends (Quakers). The early Quakers were Christians whose biblical faith was informed by their experience of the Light of Christ, and this put them at odds with the teachings and creed of the state Church of seventeenth century England. Many Quakers emigrated to North America because of persecution, violence, and imprisonment and established communities in many places in America and the Caribbean. The American Revolution prompted further emigration, and the first Quakers in New Brunswick were Loyalists who arrived at Beaver Harbour, on the Bay of Fundy, in 1783; however this group was dispersed following a forest fire that destroyed the community in 1790. Today’s Quakers in Atlantic Canada include some descended from early Quaker families but many who found a spiritual home and made the choice to live as Friends. 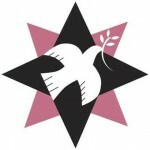 Quakers were among the leaders of the movement that led to the abolition of slavery by the British Parliament in 1833, and in the 20th century through the present time, Quakers have been active in movements for conscientious objection to military service, civil rights, peace, prison reform, sustainable communities, refugee issues, and justice for all earth’s creation and all peoples. Quaker meetings draw on their tradition of prophetic witness while finding unity in the search for truth in community. We strive to ground our witness in love given that it is the nurturing of love and the overcoming of violence that builds peace that endures. Our experience continues to demonstrate to us that this is true.